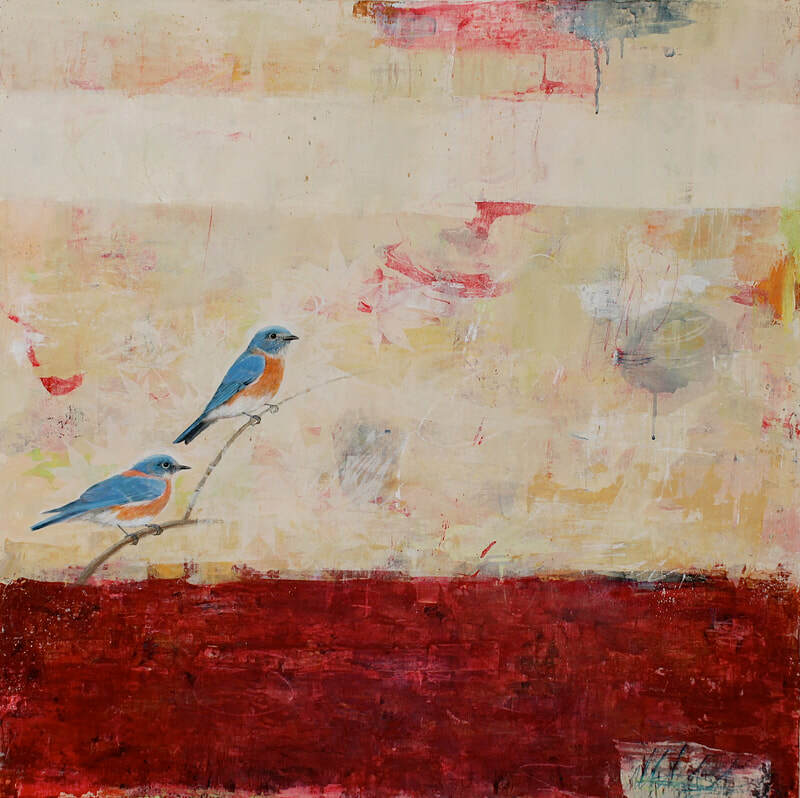 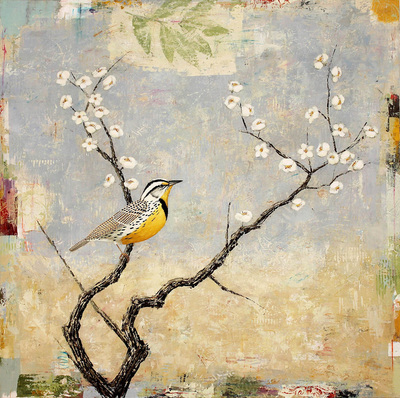 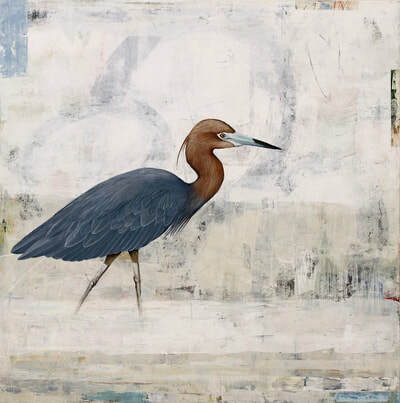 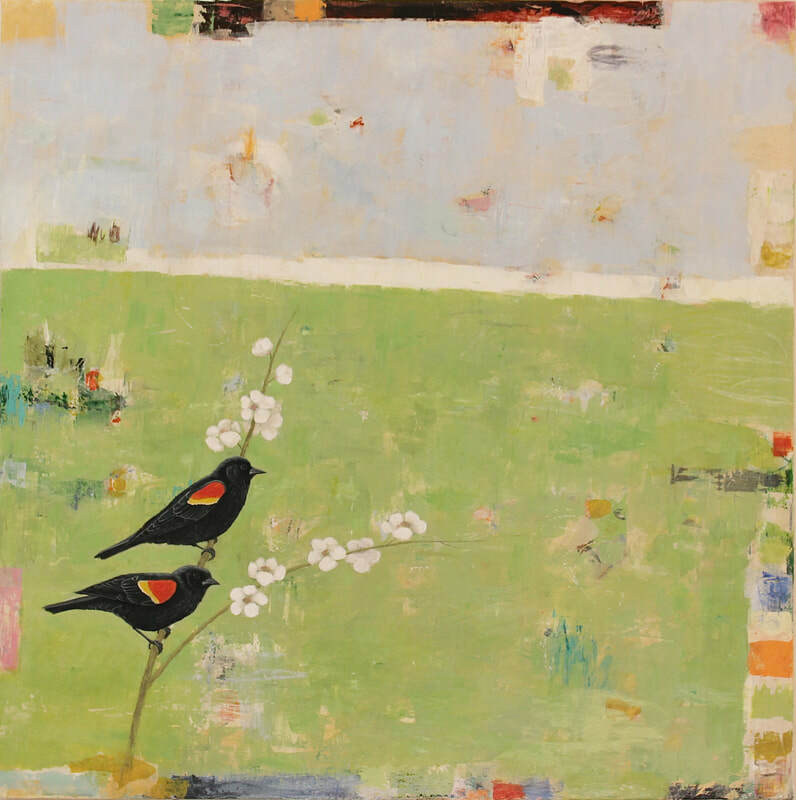 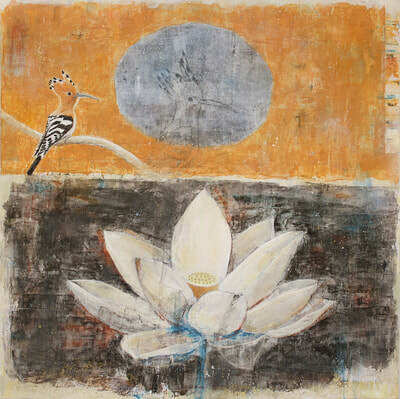 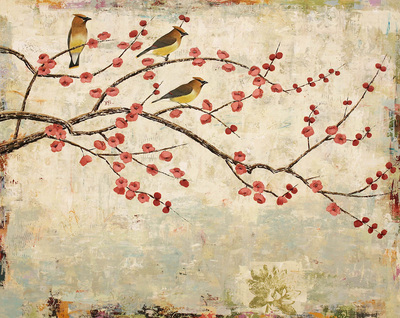 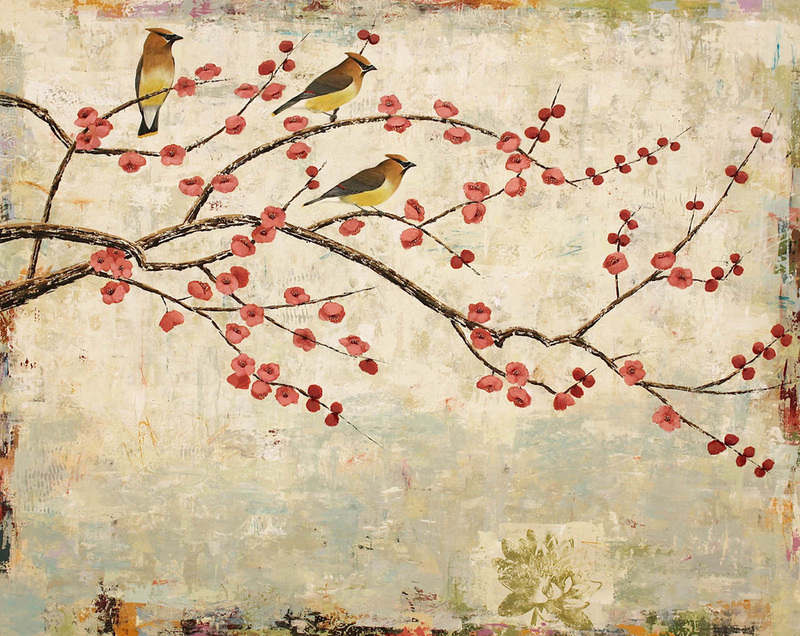 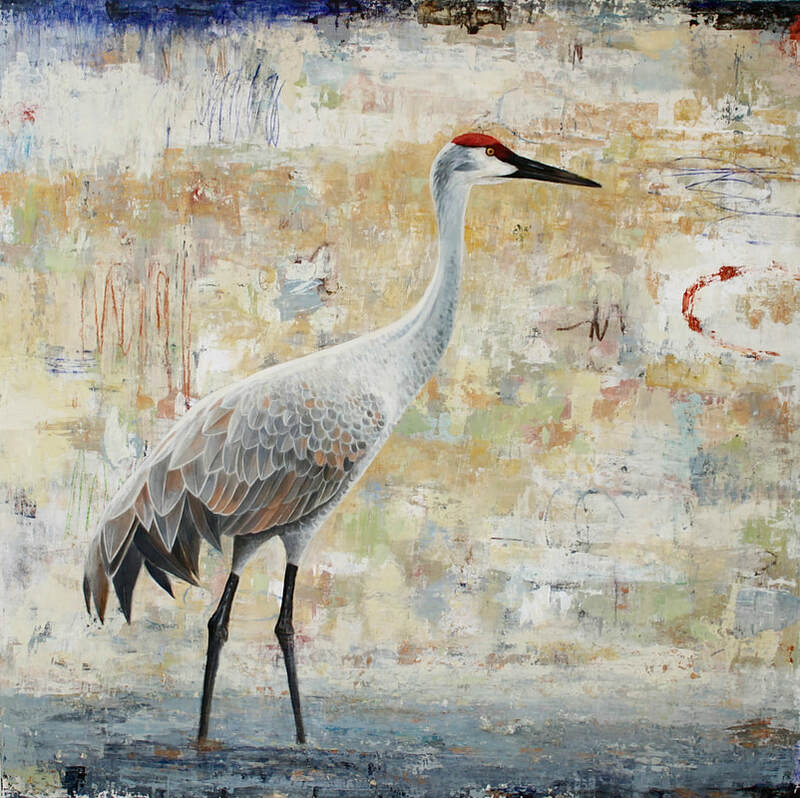 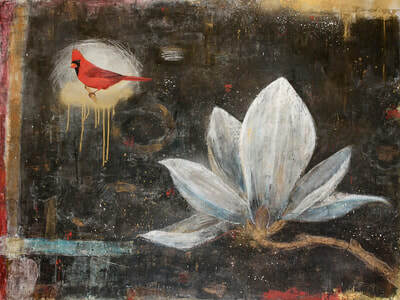 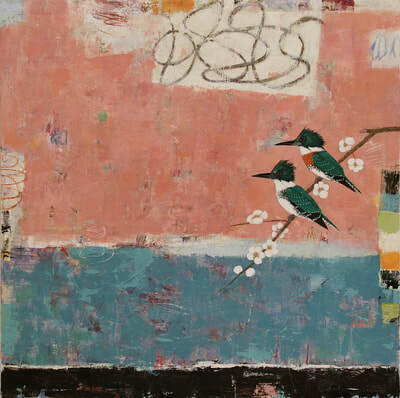 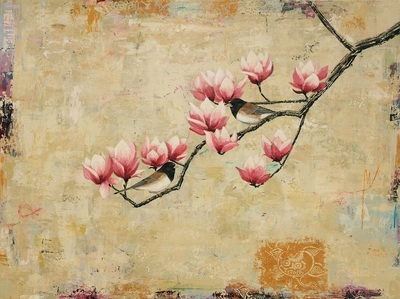 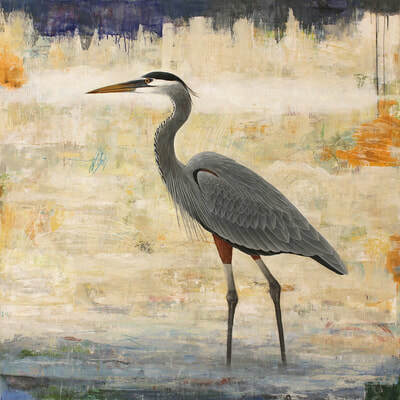 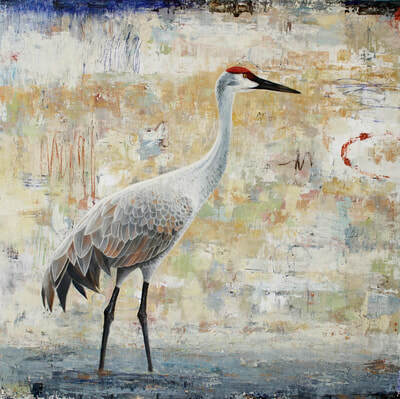 Paul Brigham’s bird paintings are inspired by the Japanese tradition of ukiyo-e, “the floating world”, specifically Japanese bird and flower prints. 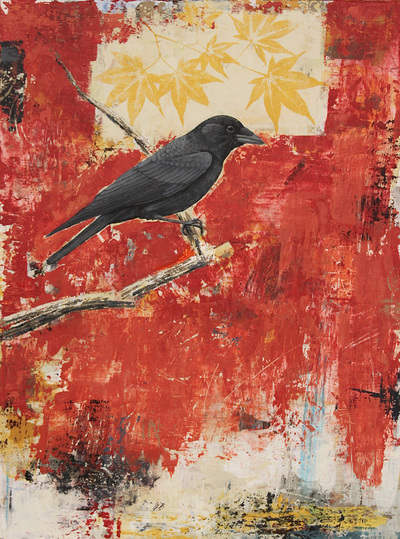 The challenge has been to apply aspects of these traditions in a way that respects them without imitating, and in a way that reflects his own experience as a 21st Century painter living in California. 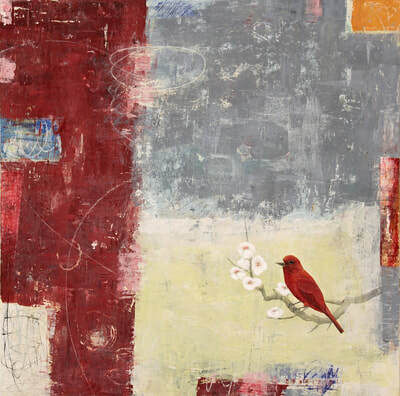 He creates an intuitive, nonlinear narrative through the visual elements of design, symbol and color-fields. Images from the natural world are drawn or silk-screened without deliberation within color-fields to evoke the physical and the spiritual dimensions of landscape. 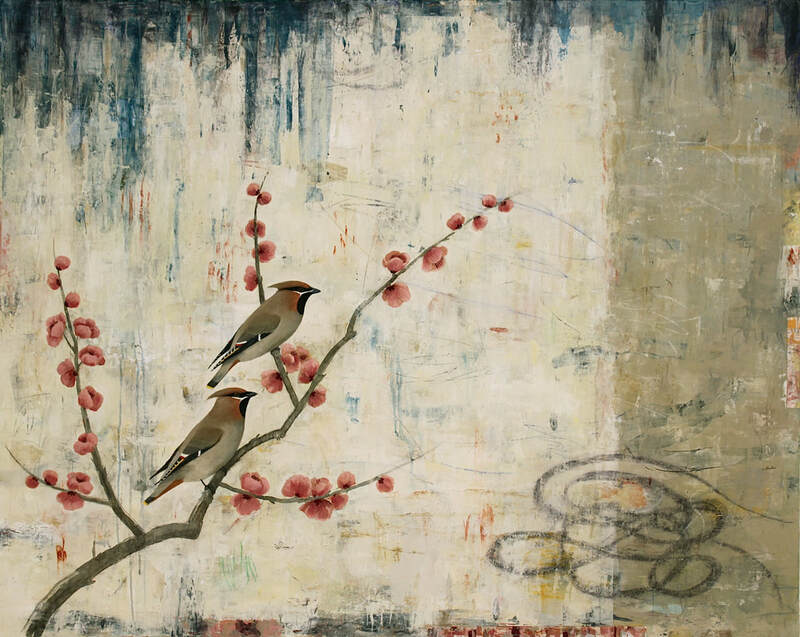 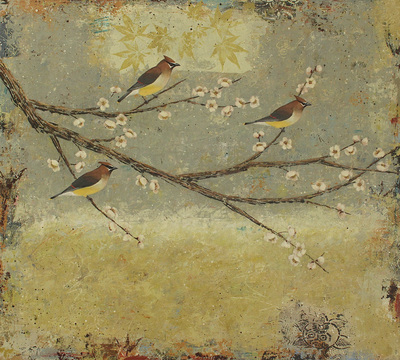 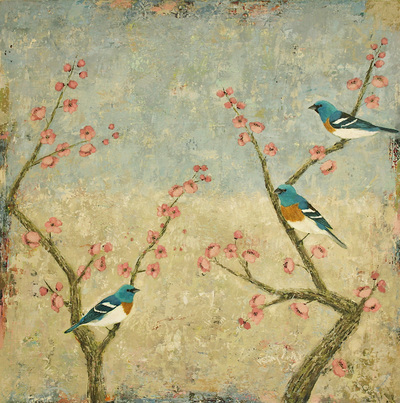 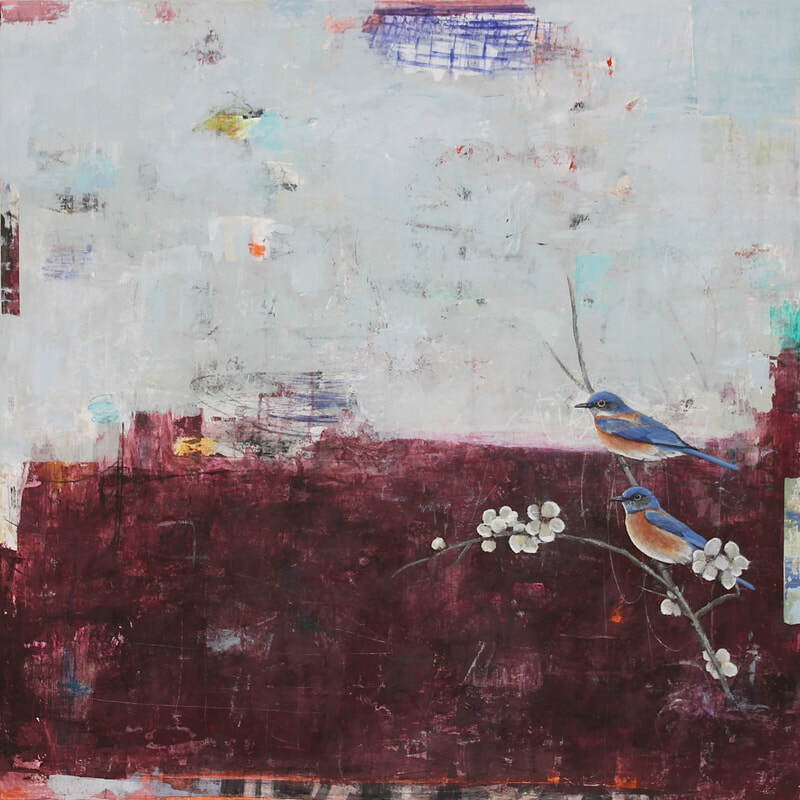 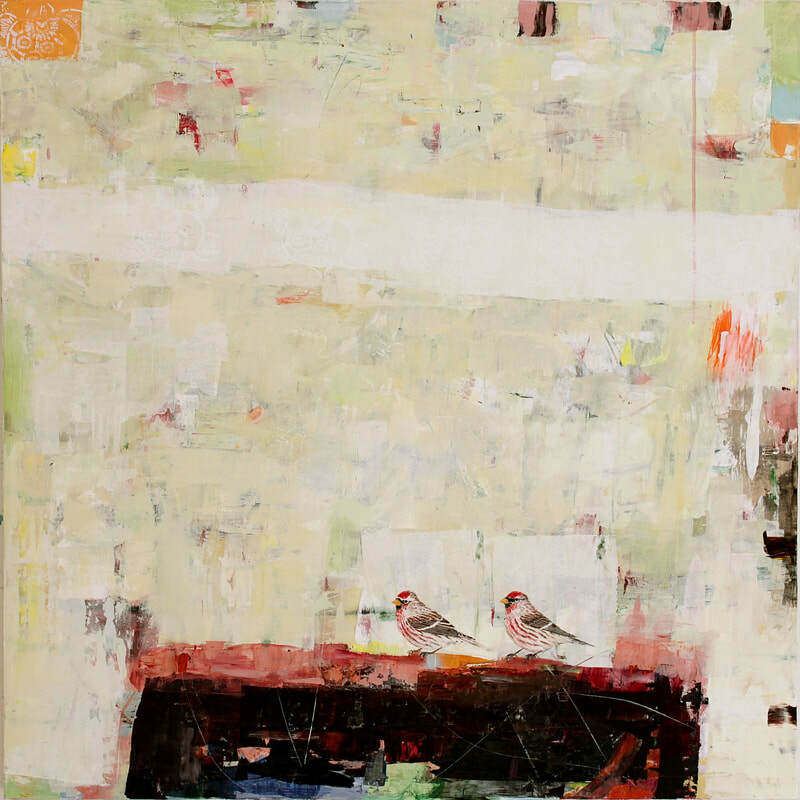 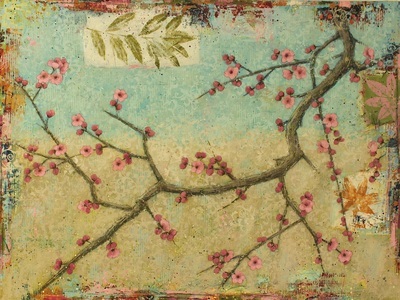 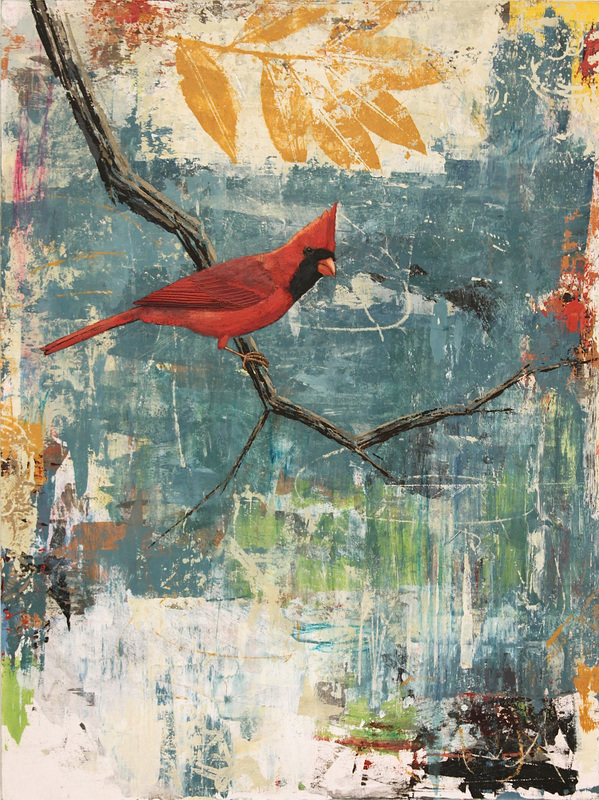 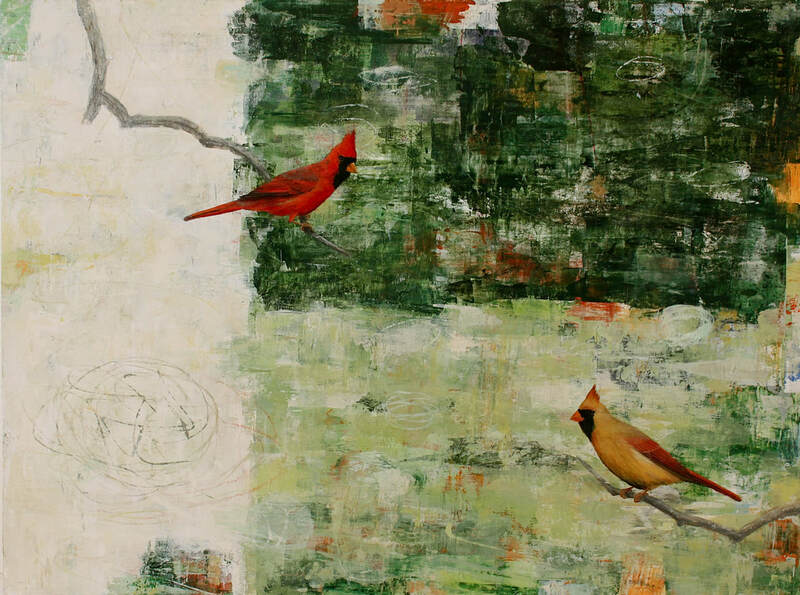 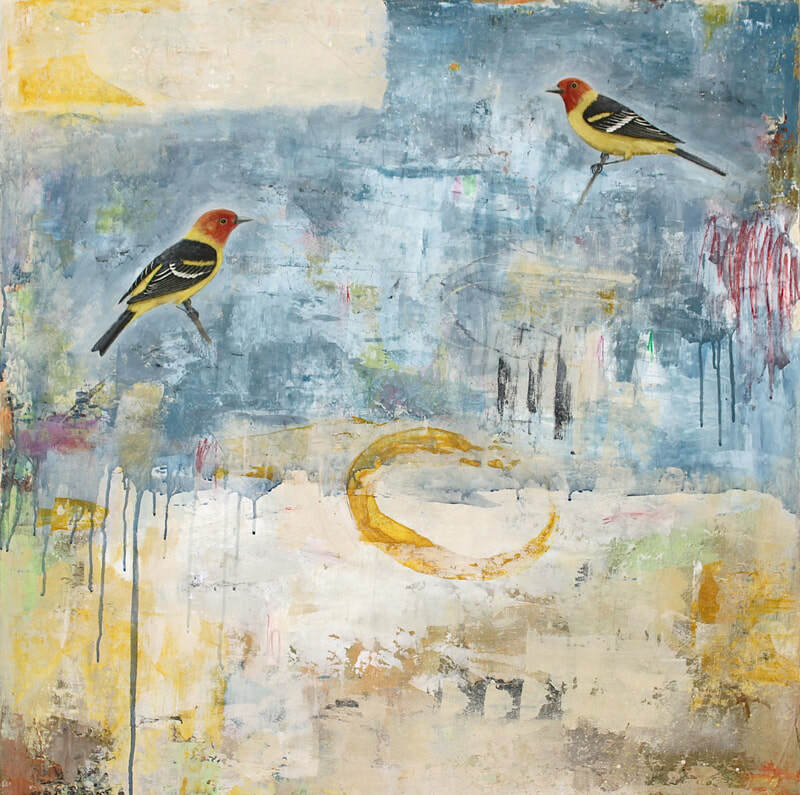 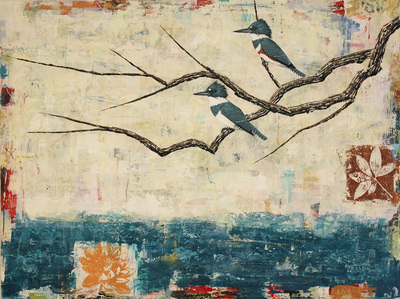 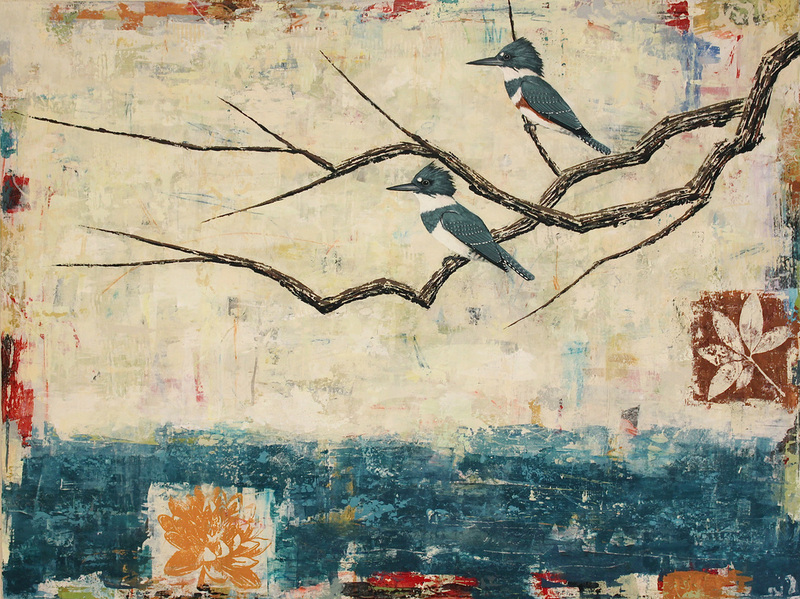 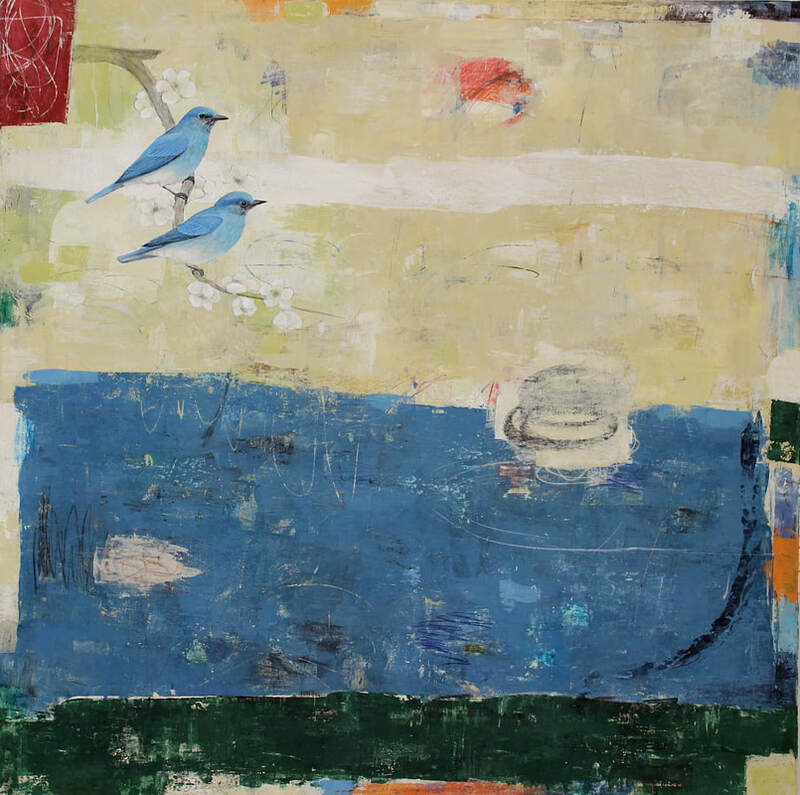 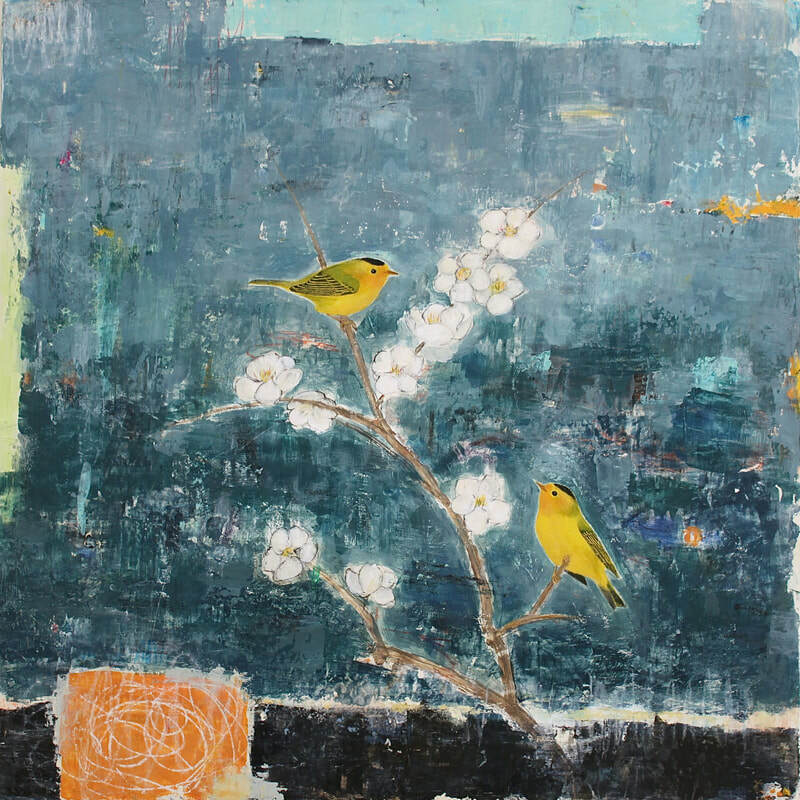 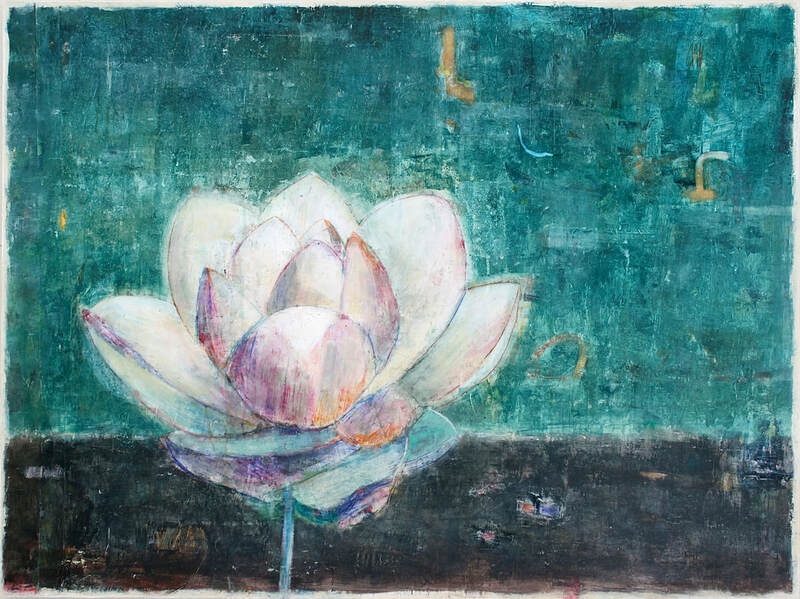 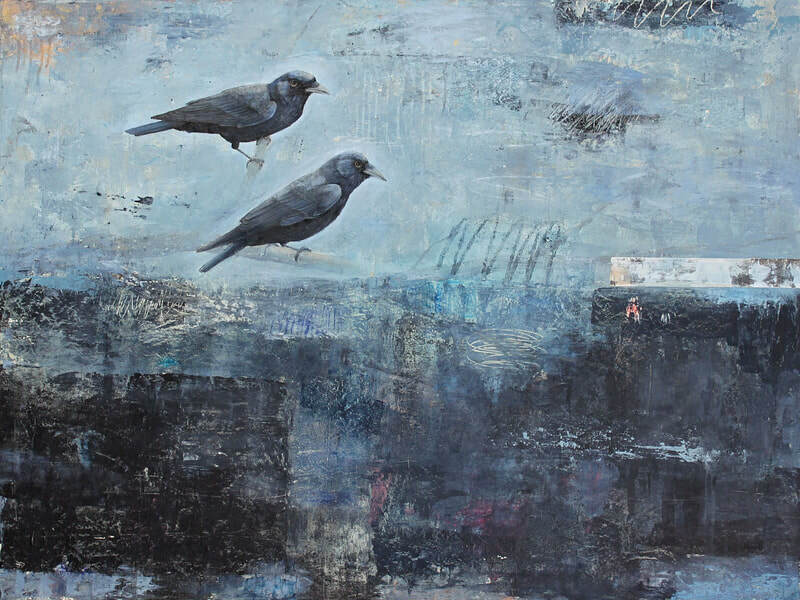 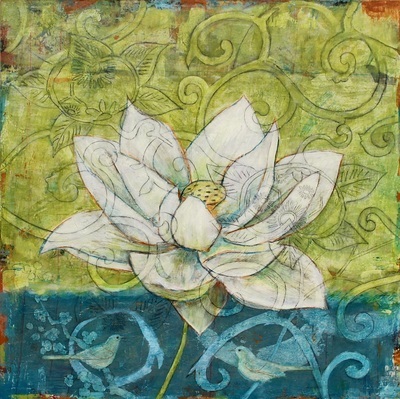 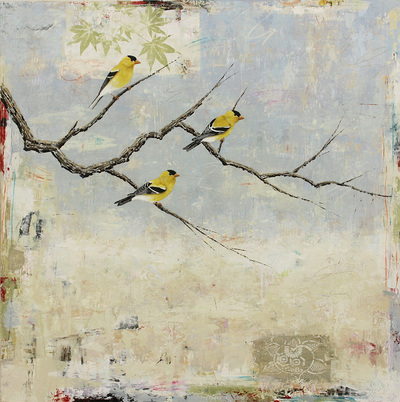 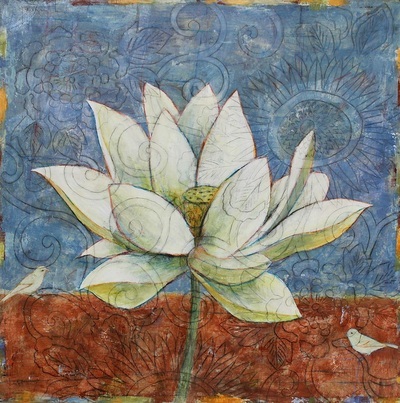 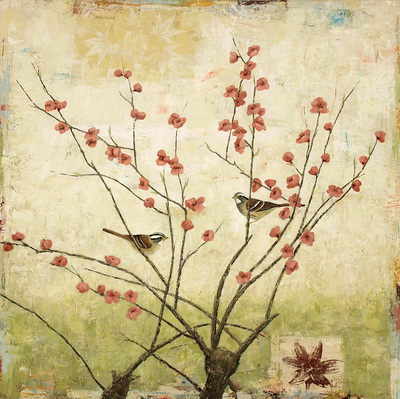 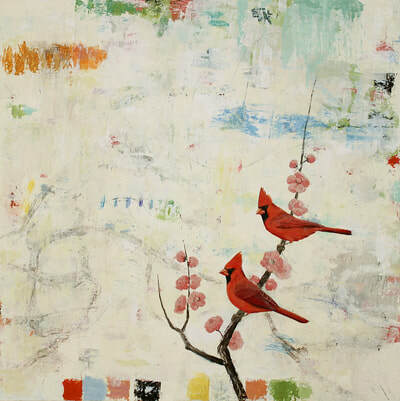 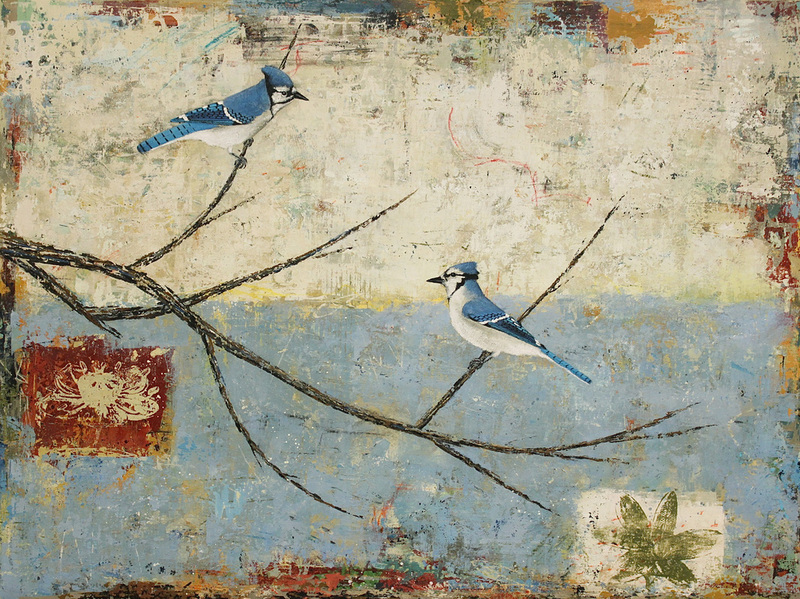 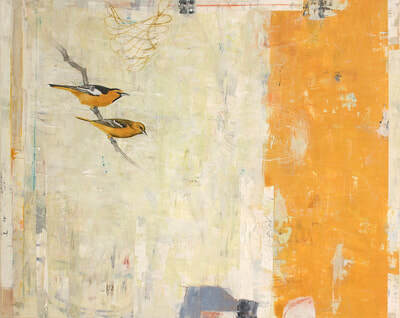 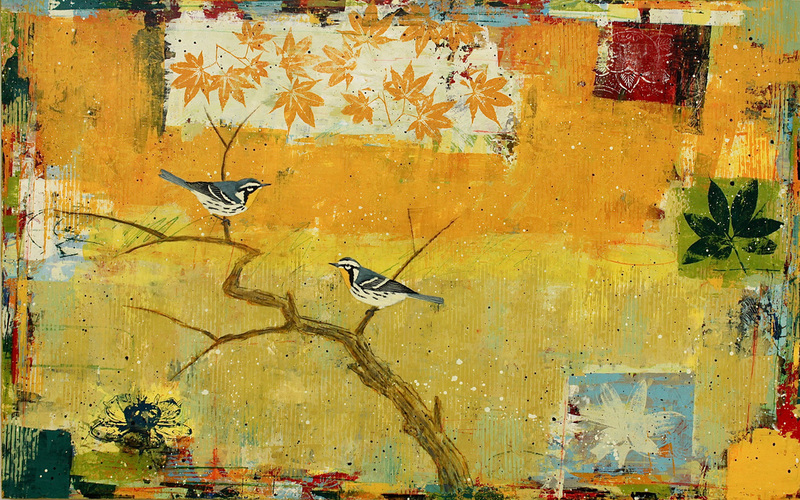 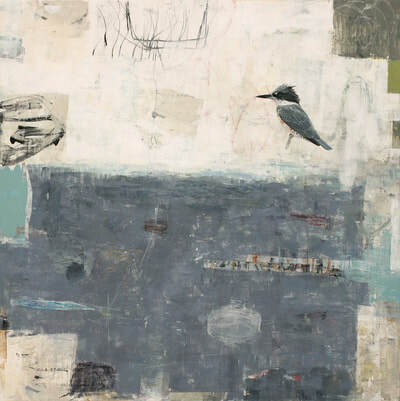 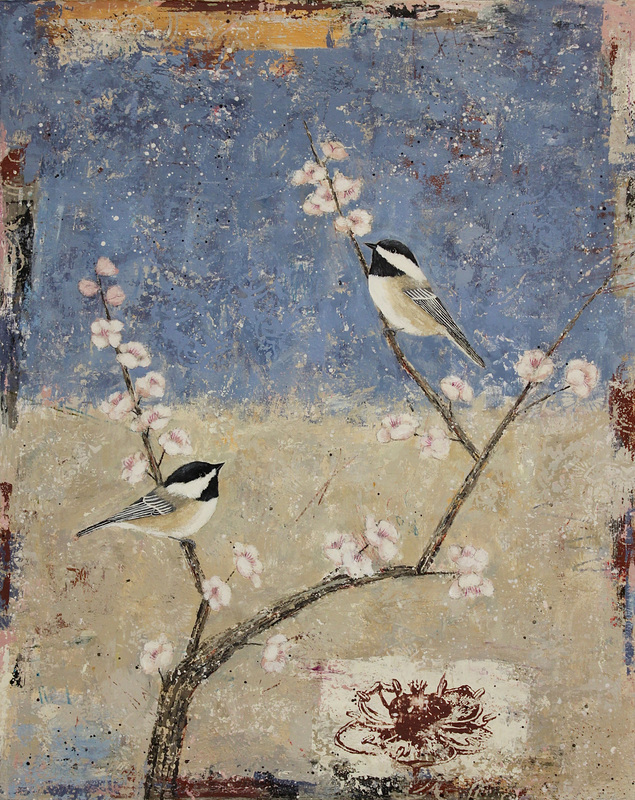 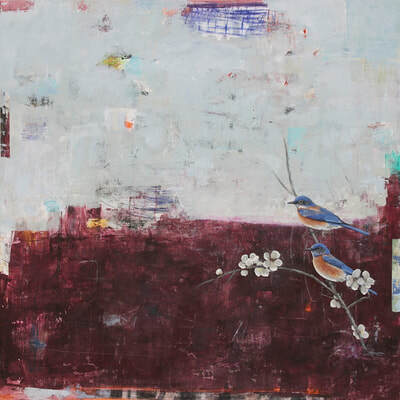 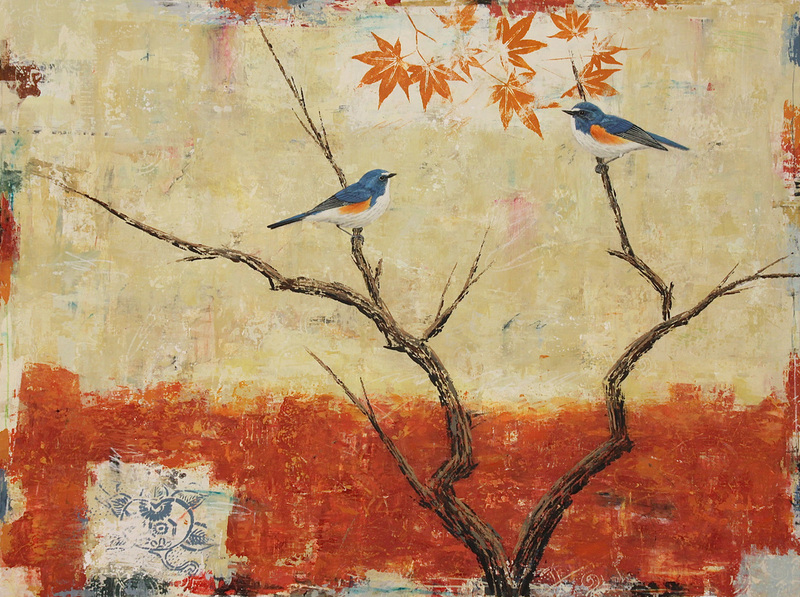 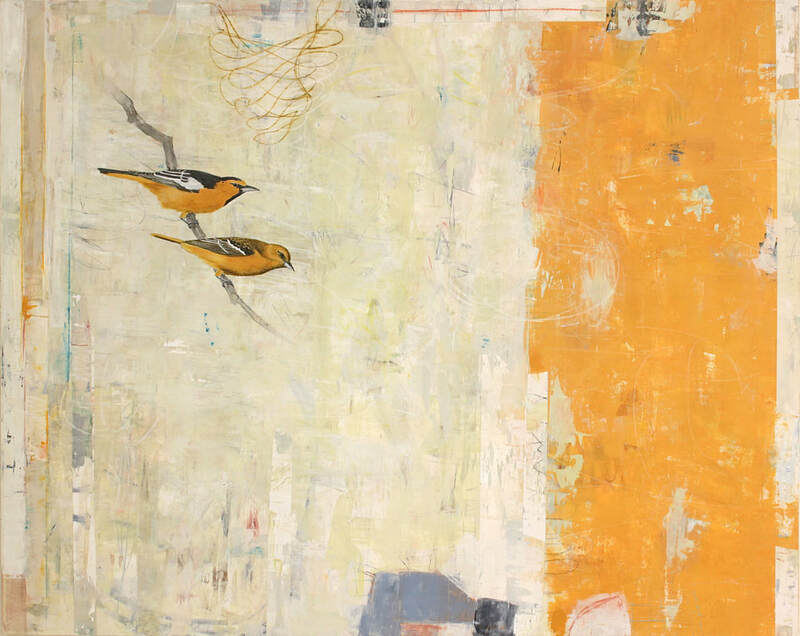 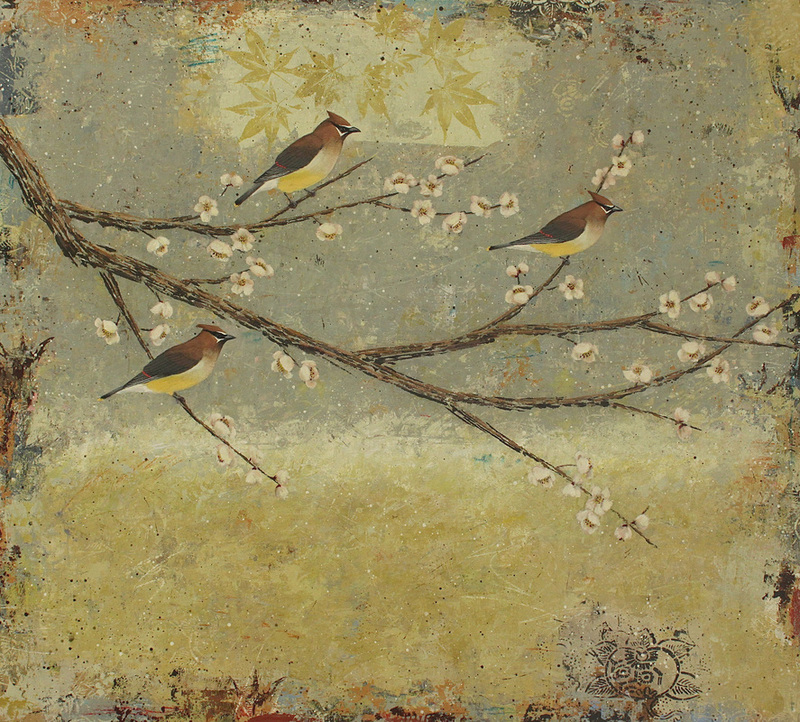 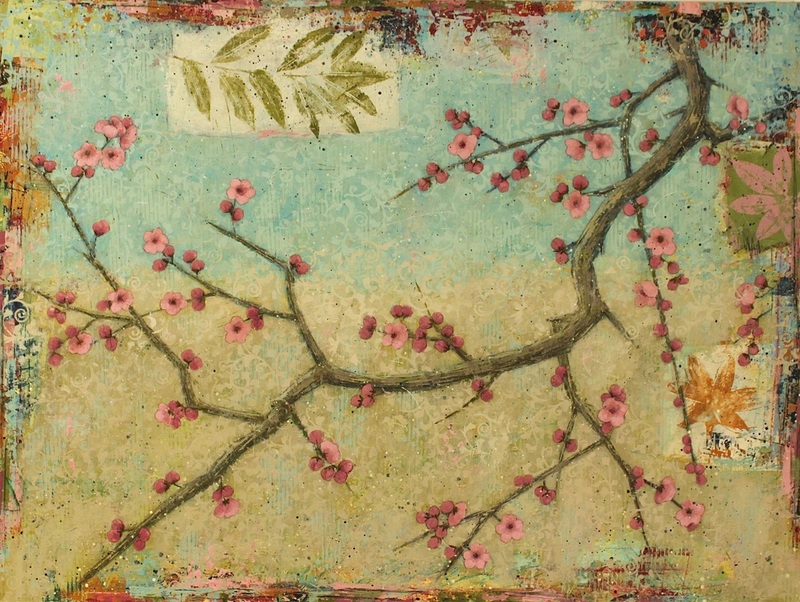 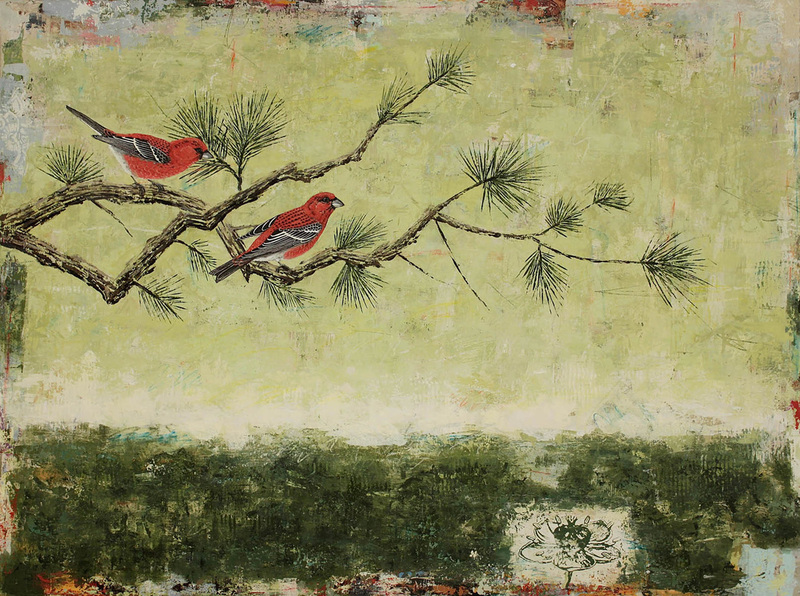 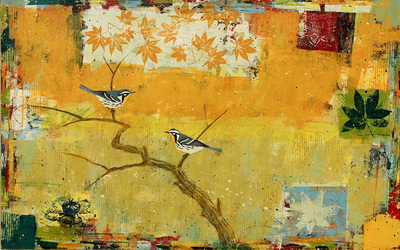 Brigham’s technique consists of layering paint and silk-screened images and then using sandpaper and other scratching tools to reveal elements from previous layers. 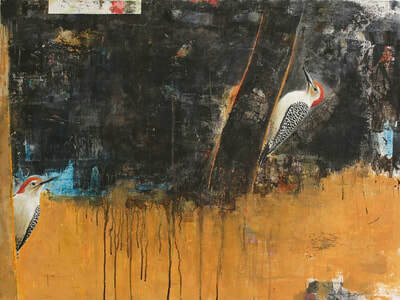 This layering technique not only contributes to the depth and texture of the surface, but also captures the effect of the transitory nature underlying all things and making the work appear in a state of flux. 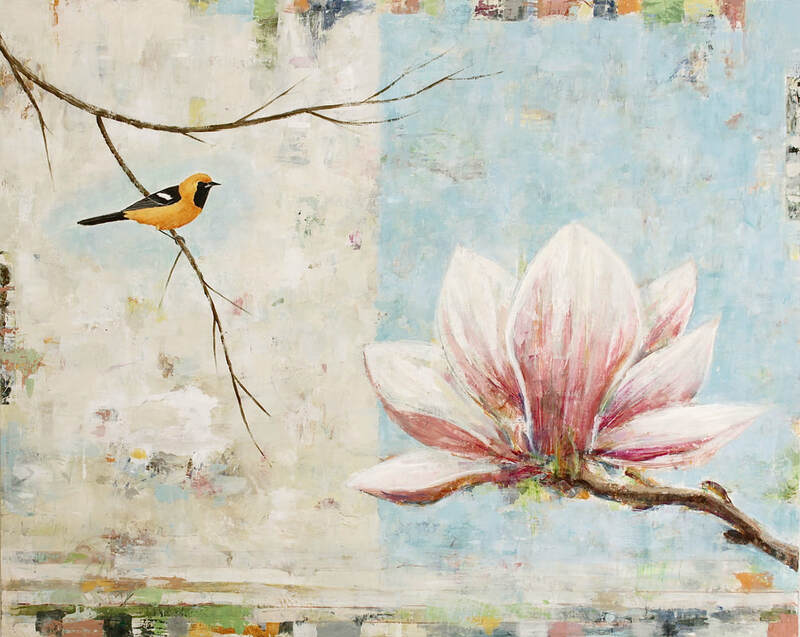 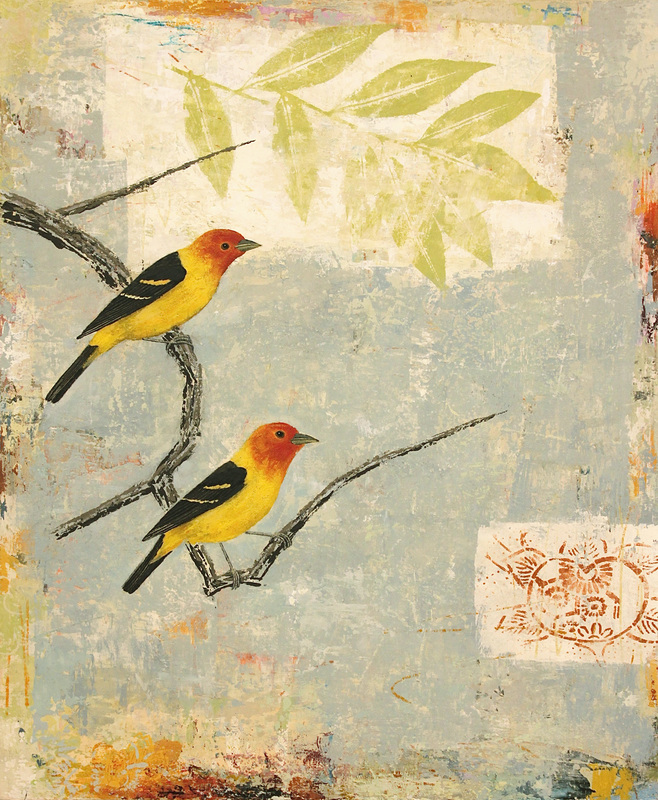 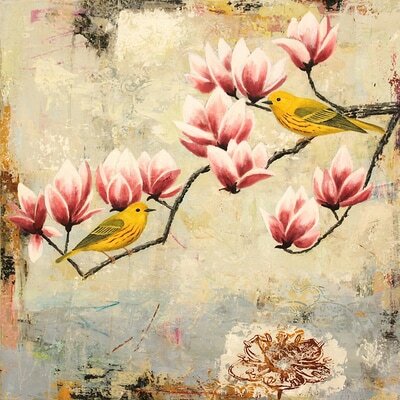 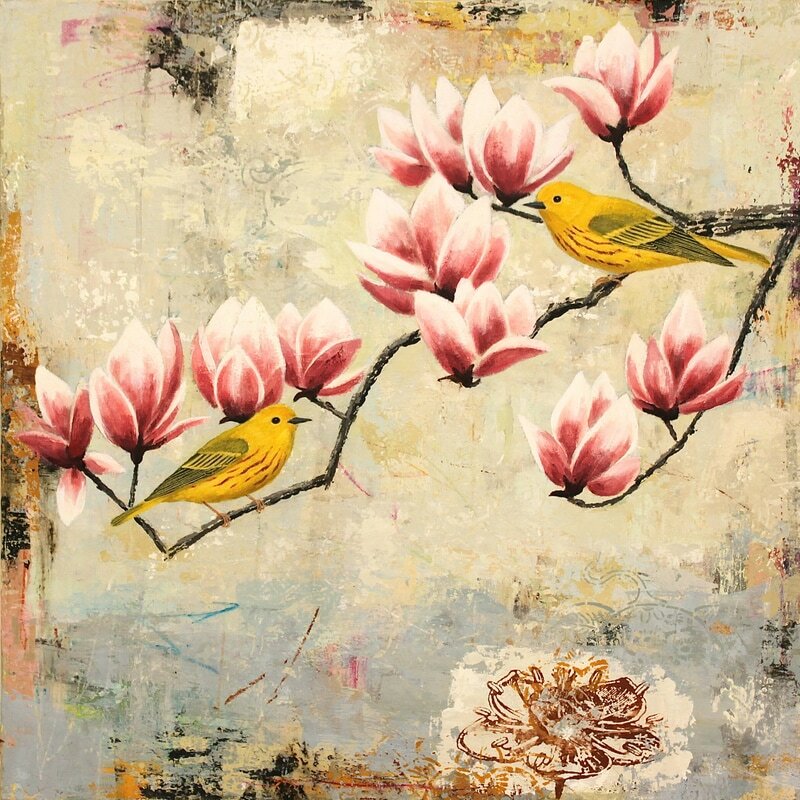 The background reflects how the bird may see the world- it is serene and magical and the bird seems right at home there.